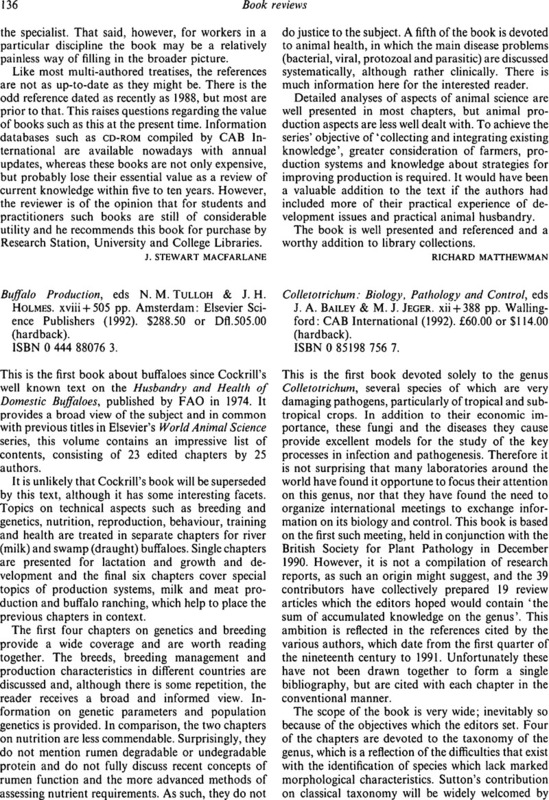 Colletotrichum: Biology, Pathology and Control, eds J. A. Bailey & M. J. Jeger. xii + 388 pp. Wallingford: CAB International (1992). £60.00 or $114.00 (hardback). ISBN 0 85198 756 7.